I haven’t done any modelling for over 4 months. Now, as the days are getting shorter, I’ve got the urge to build something again. I decided to start with a 3D printed quarry loco body. 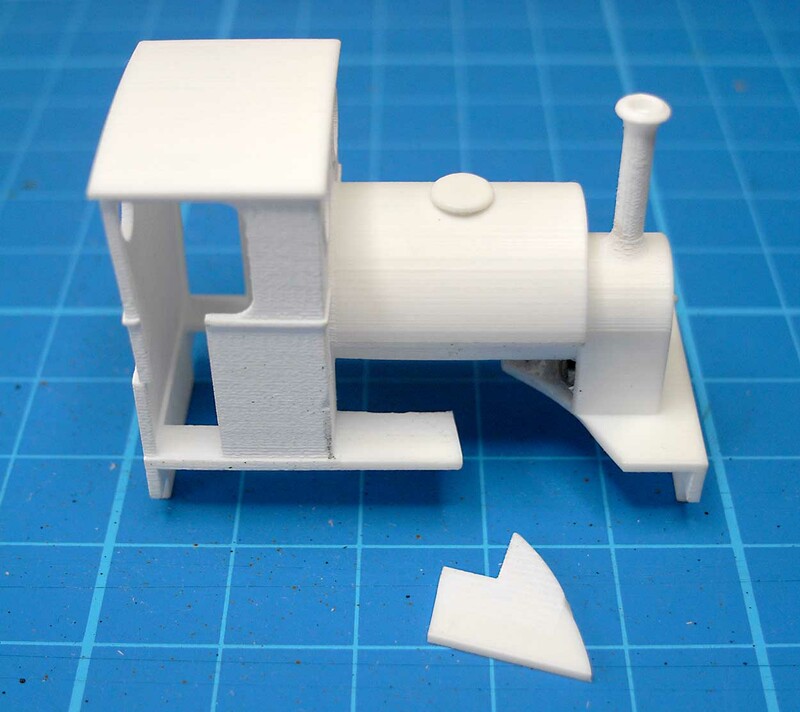 I’ve made three of these 3D printed locos already, I know what I’m doing and it will be an easy way back into modelling. I forgot that 3D printed models are brittle and as I was merrily packing the boiler with lead I broke the body in two places. I don’t think it’s too serious. They are clean breaks and should be easy to super glue back together. But I’ve realised I’m rusty!